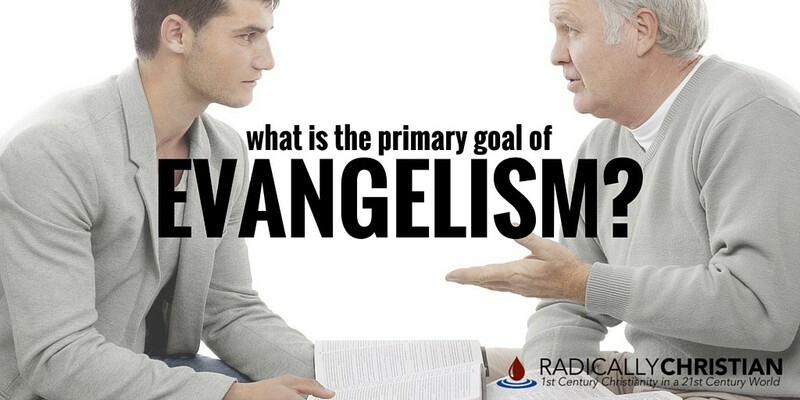 What is the Primary Goal of Evangelism? 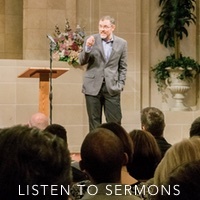 Some people think the goal of evangelism is simply to grow a congregation; as long as pews are filling up, they believe the goal of evangelism is being achieved. For others, it’s all about baptisms; as long as people are being baptized, they think they are fulfilling the goal of evangelism. Don’t get me wrong, baptisms and “church growth” are certainly good things, but these could absolutely be in vain if we do not understand the primary goal of evangelism. It’s funny that we urge Christians to be evangelistic, but sometimes without even really explaining what that means. The word “evangelism” comes from the Greek word, “euaggelizo,” which means to announce good news. Obviously in the context of Christianity, the good news about which we’re talking is the Good News about Jesus Christ: the Son of God was born King of the Jews, was crucified, and was raised King of kings and Lord of Lords; and He gives eternal life to His disciples. In a nutshell, evangelism is telling people the Good News about Jesus. But why do we tell people the Good News? What’s our primary goal in that? Our goal is for them to know how to be a disciple of Jesus Christ, if they so choose. And we must realize, the decision to be a disciple is not one to be taken lightly. If anyone comes to me and does not hate his own father and mother and wife and children and brothers and sisters, yes, and even his own life, he cannot be my disciple. Whoever does not bear his own cross and come after me cannot be my disciple…any one of you who does not renounce all that he has cannot be my disciple (Luke 14:25-26,33). Again, the primary goal of evangelism is for people to know how to be a disciple of Jesus Christ. Some will, sadly, decide the cost is too high. In rebellion, they will choose to enjoy the fleeting pleasures of sin rather than be mistreated with the people of God (see Hebrews 11:25). Others will see the Good News for what it is. In faith, they will repent of their sins and say, “Here is water! What prevents me from being baptized?” (Acts 8:36). As a side note, when we understand the goal of evangelism is for people to know how to be disciples of Jesus, then we will realize that evangelism is not just for the lost, it’s also for the saved. Even the church needs to be constantly reminded and matured concerning how to follow Jesus. We could easily define evangelism by the “Great Commission,” in which Jesus said to go and make disciples by teaching them, baptizing them, and continuing to teach them how to follow Jesus (Matthew 28:18-20). Paul said evangelists and other leaders “equip the saints for the work of ministry” (Ephesians 4:12). Evangelists like Timothy and Titus remained in churches, teaching and reminding Christians how to be disciples of Jesus. Every one of Paul’s letters was evangelistic, but they were evangelistic to the saved, not the lost. Evangelists teach the lost – and the saved – the Good News about Jesus, so they know how to follow Jesus. All Christians, in some sense, need to be evangelists and to have evangelists in our lives. We all need to be taught more (and reminded often) about the Kingship of Jesus, so we know how to follow Him. Why does it matter that we realize the primary goal of evangelism isn’t just to baptize people or get them “coming to church”? It matters because we’ve developed all kinds of methods and strategies to baptize people and grow churches. We can quickly walk people through why they need to baptized. We can show people why our congregation is a great place to be. But are we being evangelistic? Being evangelistic means teaching people about Jesus. If we teach them about Jesus and they reject Him, we’ve still be evangelistic. But if we use some slick presentation to get someone baptized, or get them coming to our congregation, but they don’t know what it means to be a disciple, then we have NOT been evangelistic. Baptism and church attendance are absolutely necessary to be a disciple, but they are not the primary goals; the primary goal is that we learn to bear our cross and daily follow Christ. If we don’t learn faithful discipleship, baptism and church attendance are ultimately in vain.